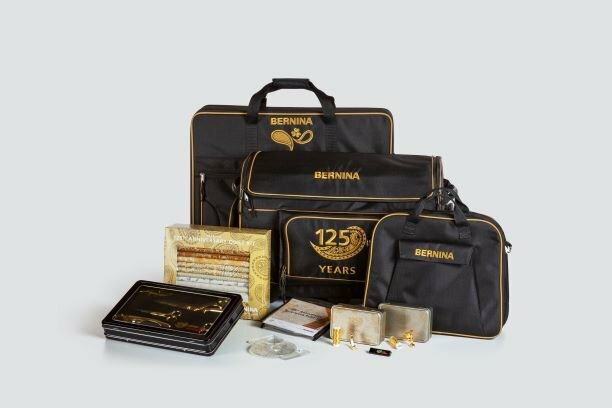 BERNINA 790 PLUS Anniversary Edition - Take Home the Gold! The BERNINA 790 PLUS is the ideal machine anyone who loves to sew, embroider, or quilt. 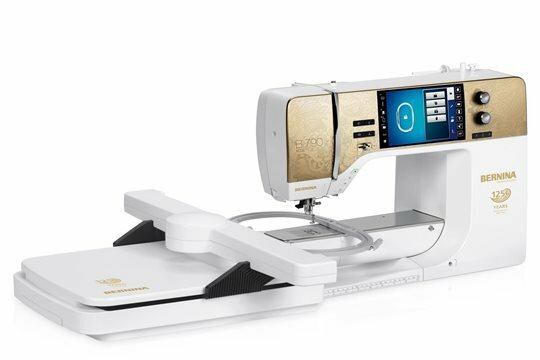 Not only does the BERNINA 790 PLUS provides you with ample space for big, beautiful sewing and embroidery projects, with its 9mm stitch width, it is also ideally suited for decorative stitches. The extra-large embroidery module lets you stitch out maxi-sized motifs. And should your ambitions grow, the BERNINA 790 PLUS can be updated with a wealth of accessories. The BERNINA 790 PLUS accomplishes many tasks all by itself. The presser foot lowers automatically at the beginning of a seam. Threading is semi-automatic, and the thread is cut automatically when you reach the end of a seam, or when you wish to change colors while embroidering. Moreover, a practical extension table, which yet again significantly increases your work area, is included in the standard package. These are just a few of the features that make the BERNINA 790 stand out among the competition. The BERNINA 790 is an intuitive and easy to use sewing + embroidery + quilting machine. If you love creating things with no limits, this is the machine for you. Lola Pink offers multiple classes to ensure that you make the most of your new 790. 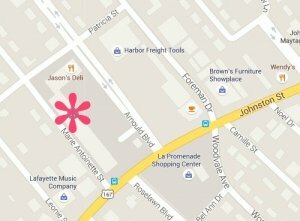 We are here to answer your questions and make sure you are comfortable and ready to create.